Brussels (AFP) - EU foreign policy chief Federica Mogherini called Wednesday on Israel and the Palestinians to resume peace negotiations, saying the situation on the ground was "not sustainable." Mogherini issued the remarks after eyewitnesses said the Israeli air force carried out four strikes on militant targets in the Gaza Strip early Wednesday, hours after a cross-border rocket attack on the Jewish state. "We see the situation on the ground as not sustainable and (it is) an illusion to think the status quo is an option," Mogherini said at the opening of an annual meeting in Brussels of the donor coordination group for the Palestinians. "As we have seen (in the) last hours on Gaza there is no status quo at all. If we don't have positive steps, we will have negative steps," said Mogherini, who last week travelled to the region to meet with Israeli Prime Minister Benjamin Netanyahu and Palestinian leaders. "We also have the political interest and the moral duty to work together as much as possible to re-establish a political horizon, without which even concrete steps that make the life of the people more positive on the ground would not be enough," the former Italian foreign minister said. Mogherini has relentlessly called for a two-state solution, with a secure Israel lying alongside a viable Palestinian state following the 1967 borders. The peace talks fell apart in April 2014, and prospects for their renewal seem bleak with a lack of trust between the sides exacerbated by the formation of Netanyahu's new hardline coalition. "Without any kind of political process, without any horizon, we cannot expect anything but more violence to come again," she said. 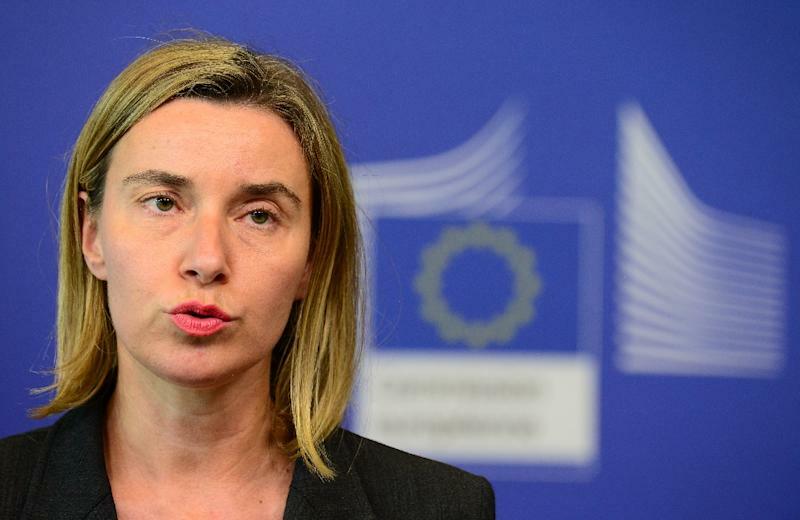 Mogherini also urged the Palestinian leaders, the Palestinian Authority and the Islamic movement Hamas, which runs the Gaza Strip, to "restart a national reconciliation process."